Being taken into custody by law enforcement is not a pleasant experience by any means. Regardless of the circumstances, it is illegal to resist an officer’s attempts to bring you into custody. This is known as Obstruction of Justice or Resisting Arrest. Juveniles who do not comply with an officer’s lawful commands or in any way opposes an officer’s attempt to do his job will result in a resisting arrest charge. Similar to disorderly conduct, resisting arrest charges are used at the officer’s discretion when somebody acts disrespectfully and does not necessarily commit a crime, but challenges the authority of the officer. Obstruction/Resisting is a very controversial subject as of lately. Investigations into the practices of the Ferguson Police Department and other federal reviews have found that minorities are disproportionately charged with Obstruction/Resisting more often than white people. Based on data collected from the NYPD, a black defendant in a misdemeanor drug possession case is 85.4% more likely to receive an Obstruction/Resisting charge. If your child has recently been charged with Obstruction of Justice/Resisting Arrest, call the South Florida Juvenile criminal defense attorneys at The Ansara Law Firm for your child’s strongest defense in court. Resisting Arrest Without Violence: When an officer tries to take you into custody or detain you, you are legally obligated to comply with his or her lawful commands to put your hands behind your back and do as he or she says from there on out. If a defendant or suspect, in any way, resists the officer’s attempt to place them under arrest they are committing a crime. Without violence implies that the defendant was trying to evade handcuffs by moving his or her arms out of the way, rather than fighting the officer. Resisting Without is a misdemeanor offense, punishable by up to a year in jail, up to a year’s probation and a fine of up to $1,000. Resisting Arrest With Violence: When a subject resists an officer’s attempt to take them into custody by means of force or violence, then that subject has committed a felony offense. If Resisting Arrest Without Violence consists of merely evading an officer’s actions, Resisting With Violence implies that the subject being arrested or detained assaulted or battered the officer, which in and of itself is a felony offense. It is generally accepted that resisting arrest should be illegal, because the purpose of law enforcement is to reprimand people who violate the law to maintain order in society. If there were no consequences for breaking the law and nobody to enforce these laws, then nobody would follow them, resulting in utter chaos. The controversy with this particular law arises in the way that it is used in police departments across the nation, and how minorities are charged with the offense at an alarmingly higher rate than white people. According to an internal report by the NYPD, the most common charges associated with resisting arrest with or without violence are drug possession, petty theft and disorderly conduct. Black people are 85.4% more likely to be charged with resisting arrest when being arrested for drug possession, and are 109.4% more likely to be charged with resisting during a petty theft arrest. In some cases, resisting arrest is the only charge given to a defendant. Contrary to popular belief, you can, in fact, be arrested solely for resisting arrest. It seems nonsensical, because you must first be arrested before you can resist arrest, right? Contrary to popular opinion, if you interfere with a police officer in any way, or if you are simply in an area where a serious crime has been committed and the police detain you to investigate and you resist in that process, you can still end up with an Obstruction/Resisting charge despite your initial innocence. Society has an interest in allowing police officers to do their jobs and take criminals into custody, therefore interference cannot be tolerated. 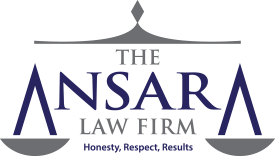 If your child resisted an officer’s attempt to take them into custody and was charged with Resisting Arrest Without Violence or Resisting Arrest With Violence, call The Ansara Law Firm immediately. Depending on the severity of the incident, your child could be processed and charged as an adult and face much more severe penalties and potentially end up with a life-ruining criminal record. Our attorneys have spent countless hours defending juveniles and adults alike who were charged with Resisting With Violence and Resisting Without. It is imperative that we are retained as your child’s defense so that we can ensure that he or she does not end up in adult court. The state of Florida has the highest percentage in the United States of juveniles tried as adults. Judges try to make an example out of a young person by sending them to adult court in the hopes that others will be deterred from committing similar offenses. Don’t leave your child’s future up to the judge; call The Ansara Law Firm today. If you, your child, or the child of a friend or loved one have recently been charged with juvenile Obstruction of Justice, Resisting Arrest Without Violence, or Resisting Arrest With Violence, in the greater South Florida region, call The Ansara Law Firm immediately at (954) 761-4011 to schedule a free initial consultation to discuss your legal matter.